-30 celcius, wind chill about -40 and fine snow today. Iron all ran and everybody got fed. I would think once you get down to about -10 C an extra -20 you wouldn't even notice it. 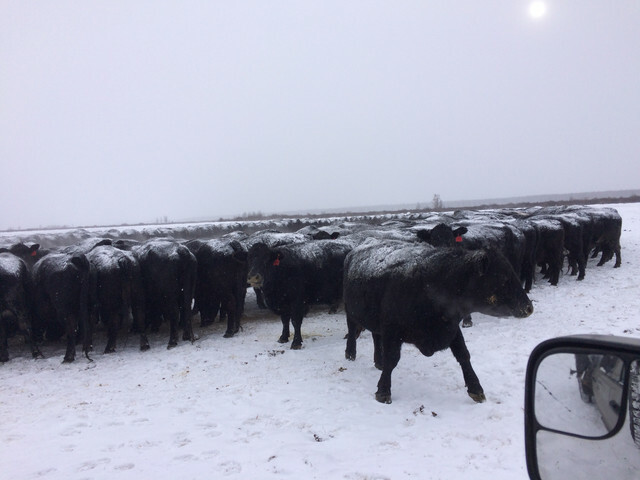 Always amazes me to see how well cattle handle the cold. Even -30 is not bad when the sun is shining and no wind. Take away the sun and add wind and suddenly it's not so nice. They claim there was a 8 or 9 mph wind this morning, not sure there was here. Vehicles today in fact do not register less than -40. It was -45C this morning (-49F) plus whatever the wind chill factor was. But the truck tried to make me feel better by only displaying -40. Fortunately no water bowls frozen. Just curiousity, how many cattle in that group? Did you just roll out the hay or are they eating grain? It sure looks like one HE// of a nice bunch of cows. Are they in the 14-1500 size? We made -34 today Silver, neighbors a 1000 feet lower elevation were -39. Celcius that is. Had a high of -21. Wind was negligible and sun shone all day. We fed well enough yesterday the old girls were not fussy about eating and stood about enjoying the Vitamin D they were gathering. We are feeding in groups of about 220 head each. They are getting 3 1700 lb bales of grass hay rolled out on clean snow on our weakest hay fields until calving starts and 6 lbs each of grain screening pellets. Colder days they get more hay. 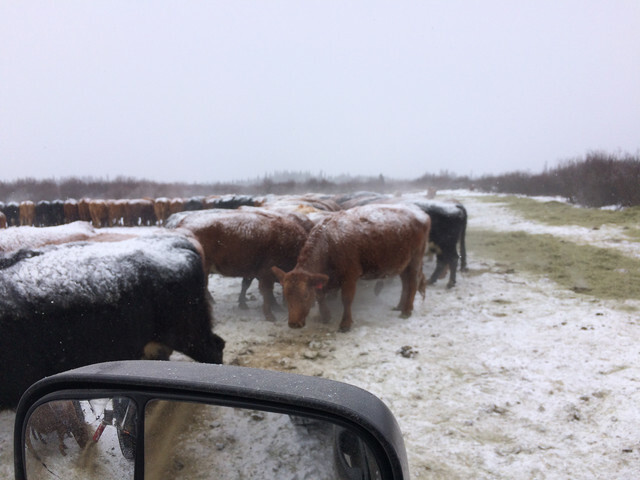 When the ground starts thawing and gets wet we will be shutting off the pellets and feeding only hay. The 240 1st and 2nd calvers are getting 2 bales one day and 3 the next and are getting 7.5 lbs of pellets. Will get BR to post a photo of that bunch to this thread tomorrow if he is so kind. We haven't deloused our mature herd bulls yet, they are kind of patchy. They are on bale rings of mediocre hay and get 10 lbs pellets until they are what we call in good condition. 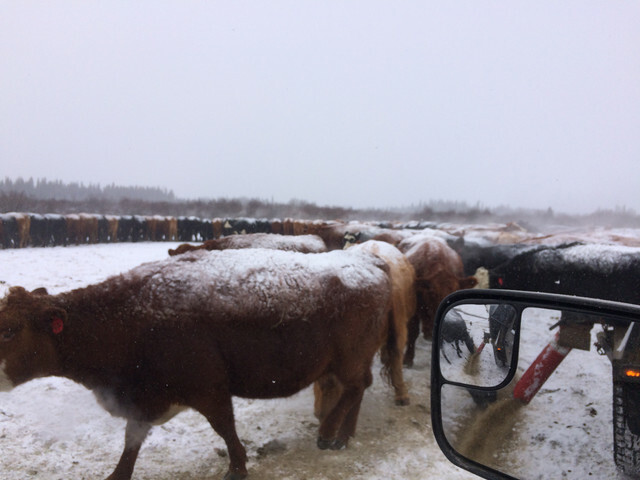 Replacement heifers are fed a mix of 9 lbs hay, 5.5 lbs 60% moisture oat, barley and pea silage, both run through a bale processor and 6 lbs pellets. They sleep in a bit of the hay. They will be a green 700 lbs when they go to grass in late May. Our feed was all baled in 28 days last summer. It tested mostly between 11 and 12 % protein and 58 to 64% tdn. Not bad for grass hey grown in a swamp. The silage bales are from two of our calving areas that get destroyed with ruts and hoof prints every spring. It usually tests about 7% on a dry matter basis. Calves love it but it doesn't have the punch other silage does grown in warmer climes. -10 is perfect winter temp. -25 and colder starts to take more feed. 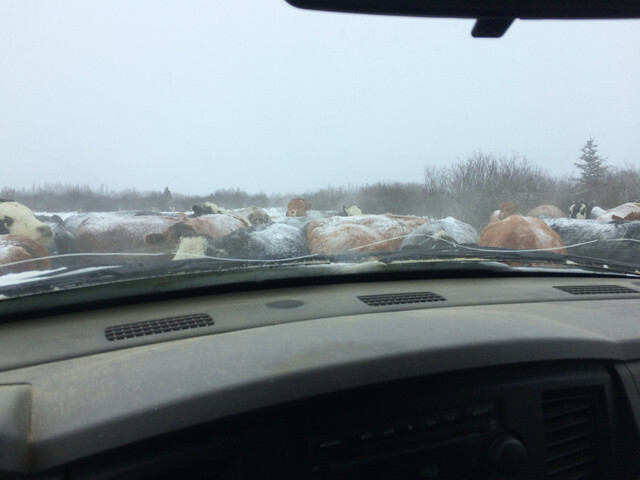 At -50, these cows will clean up 40 lbs of dry hay to stay warm. 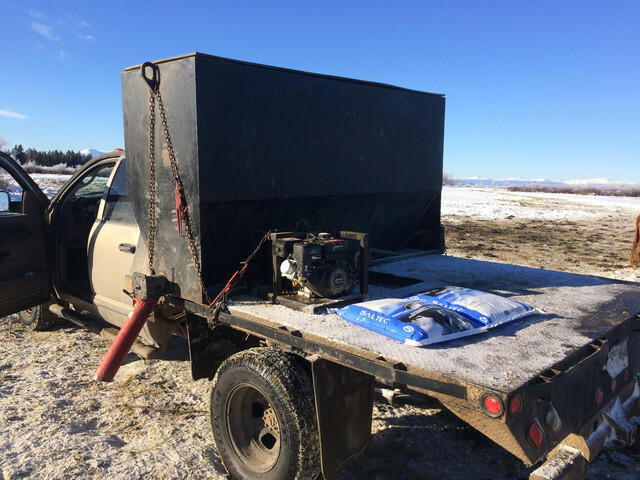 When it warms from -50 to -20 it is very noticeable and coats start coming off when grunt work needs done. It appears as though a Charolais is now in the mix. Newer purchase? It's very impressive how you all can manage such cold. Have some relatives sometimes coming from abroad once in a while. They live further to the North from us and often mentioned how temperatures feels differently in our and their place. There will be 8 of them here by turnout. A few old and crippled bulls culled. As usual I enjoy the pictures. 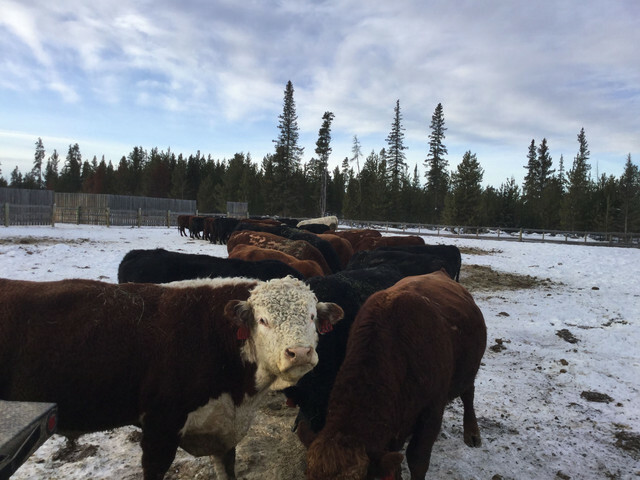 The cattle look great despite the cold temps.